Marcus® Hotels & Resorts, a nationally recognized hotel owner and management company and division of The Marcus Corporation (NYSE: MCS), today announced it has assumed management of the Sheraton Chapel Hill Hotel in Chapel Hill, N.C., effective September 1, 2017. Located within the Triangle region of North Carolina anchored by three prominent universities - University of North Carolina (UNC), Duke University and North Carolina State University (NC State), the Sheraton Chapel Hill is the leading choice among prospective students, professors, families and fans. Guests are able to enjoy Franklin Street, the heart of UNC's campus, dine at award-winning restaurants and visit local boutiques, all within a short distance from the hotel. 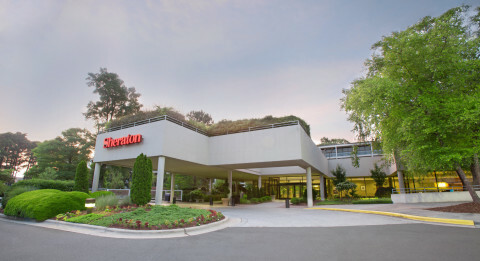 The Sheraton Chapel Hill is just a short ride from the Raleigh-Durham International Airport, and is proximate to Research Triangle Park which houses over 200 companies, the Morehead Planetarium and Science Center, the Dean Dome, Playmakers Theatre, the Carolina Basketball Museum and the Ackland Art Museum. "We are very pleased to enter into a management agreement with the ownership group at the Sheraton Chapel Hill and are delighted to be selected to manage this property. With a 55-year history of operating excellent independent and branded hotels, we see an opportunity to partner with the hotel's owners to create additional value through enhancements to the guest experience and overall operational excellence. We look forward to bringing our strong management expertise, long-standing experience operating hotels in university markets, and our unwavering commitment to providing exceptional guest experiences to Chapel Hill visitors and residents alike," said Joseph Khairallah, president and chief operating officer of Marcus Hotels & Resorts. The Sheraton Chapel Hill features 168 guestrooms and suites, 16,000 square feet of flexible meeting space, an on-site restaurant, complimentary Wi-Fi, fitness center, seasonal outdoor pool and sun deck and local shuttle service. Sheraton Club VIP guests are able to enjoy exclusive benefits in the Sheraton Club Lounge, offering round-the-clock access to the Club lounge and preferred rooms, Starbucks ® coffee, business center services and food and beverage selections, including complimentary daily breakfast, all-day snacks and evening hors d'oeuvres. The Sheraton Chapel Hill also features Link@Sheraton internet stations and Ethernet ports for those who need to stay connected throughout the day. With the addition of the Sheraton Chapel Hill, Marcus Hotels & Resorts owns and/or manages 19 hotels, resorts and other properties in the U.S. The company's distinctive portfolio includes city-center meeting hotels, upscale resorts, historic properties, and premium branded and independent first-class hotels. Marcus Hotels & Resorts is an approved operator for all major lodging brands. A leader in the hospitality industry since 1962, Marcus Hotels & Resorts creates asset value for hotel owners through its expertise in management, development and product repositioning, including hotel food and beverage concepts developed by its Marcus Restaurant Group, featuring premier brands such as Mason Street Grill, ChopHouse and Miller Time Pub & Grill. The company is also growing its experiential restaurant concept, The SafeHouse, with a second location that opened in early 2017 in Chicago, Ill. For more information, please visit: http://media.marcushotels.com and follow the company on Facebook and Twitter (@MarcusHotels).